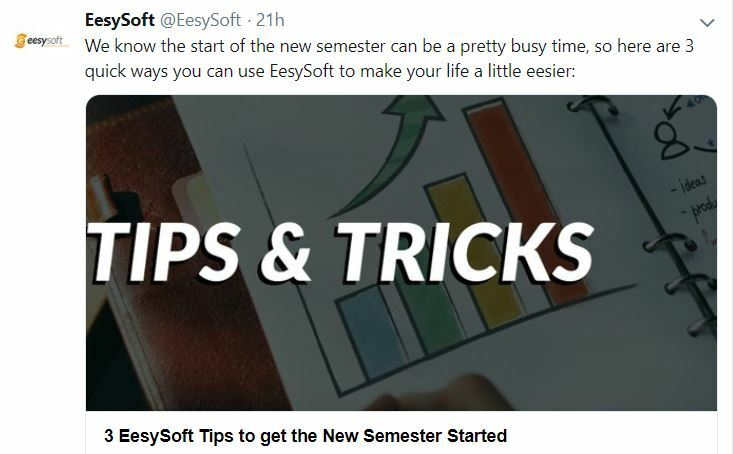 For those of you with EesySupport in Blackboard, you may notice that you now have a category called What's New or Just Released in your Support Center. This category contains subcategories with help items on the newest Blackboard features organized by the quarter they were released. 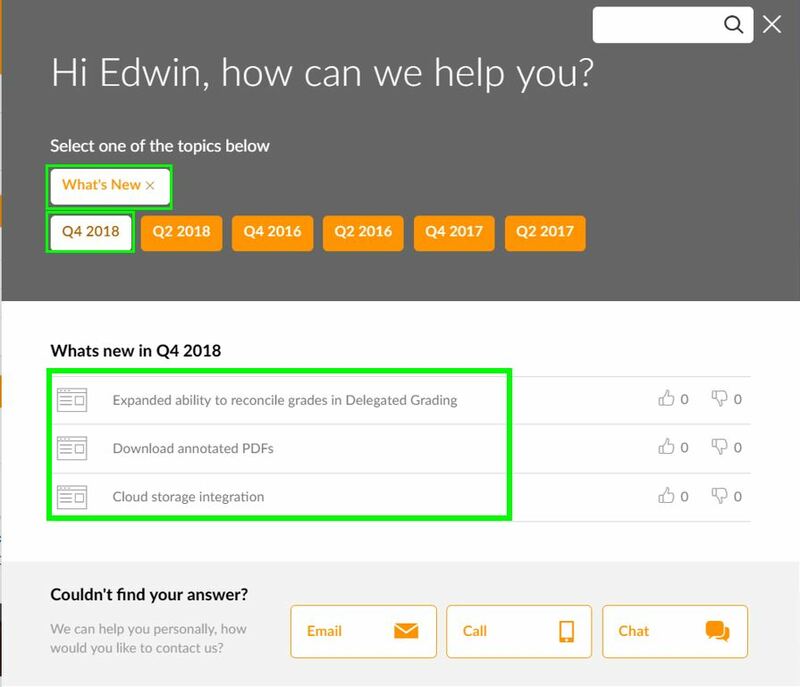 This category has been made available for all of your users so if you'd like to hide the entire category, the subcategories or just change the role assignments, please do so using "Assigned To" function for the "What's New/Just Released" node in the Support Center set up. However, here is the caveat: Because of the way we sync things now coupled with the way we used to deploy help items a couple of years ago, you will find 3 of these subcategories are not populated with any help items: Q4 2016, Q2 2016, and Q2 2017. Please consider unassigning these empty subnodes in your Support Center set up. Apologies for this; we are currently looking into how we can fix this for the future. One more thing: Some of you are already using this category called "What's New" to highlight your own help items. If this is the case, your help items are still there, just with the new feature help items added. If you are a Canvas customer with EesySupport, you also have help items from Canvas releases in the Just Released category in your Support Center. We realize this is not an ideal deployment so we are investigating ways that we can do this better in the future - right now, it's an "all or nothing" kind of thing as well - but we received several requests for these help items from customers and thus wanted to make sure they would be available as soon as possible. We definitely welcome and need your feedback so if you have suggestions, please let us know. We hope these posts can give you helpful insights both into our company and our solutions. And, if you didn't catch the winners from our first ever EesyAwards, check out our Twitter page!